Rome Grange Community Pancake Breakfast: Sunday, April 1. Featuring made from scratch pancakes, french toast, sausage, scrambled eggs, juice and coffee. Biscuits and gravy available, too. Meet and greet local politicians, as they serve you coffee and breakfast. Adults $5.50, kids 6-10 $2, kids 5 and under free. 8 a.m. to 1 p.m. Rome Grange, 2821 Mt. Baker Highway, Bellingham. For more information call (360) 739-9605. Spring Rexville Grange Art Show: Through April xxxx, during the Skagit Valley Tulip Festival. Paintings, pottery, glass, photography, jewelry, felted hats, fine crafts, weaving, and wood all featured by local artists. Previously known as the Pleasant Ridge Gallery at Rexville, this show is held during the Tulip Festival and during the holidays. Held in the basement of the Rexville Grange Hall, 19299 Rexville Grange Road, Mt Vernon. For more details, call (360) 466-0477 or see www.rexvillegrangeartshow.com. 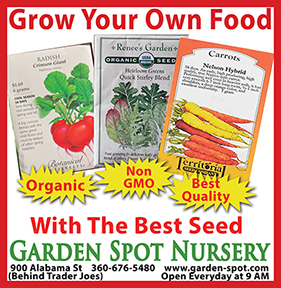 Bellingham Farmers Market Opening Day: Saturday, April 7. Visit farmers, food producers, makers, and more this first day of the season. The opening cabbage toss starts at 9:45 a.m. Non-profit fair on Railroad Avenue, free cake, and historic tours from the Good Time Girls. 10 a.m. to 3 p.m. Depot Market Square, Bellingham. 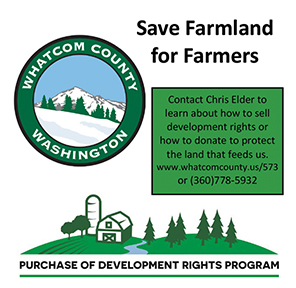 See bellinghamfarmers.org. 47th Annual Whidbey Weavers Guild Spin-In: Saturday and Sunday, April 7-8. 10 a.m. to 4 p.m. Oak Harbor High School – #1 Wildcat Way, Oak Harbor. Two day admission $15 with optional fiber packet available for $10. Featured Spinner: Judith MacKenzie. Saturday – Spinning Demonstration; Sunday – Spinning Workshop. Along with your wheel or spindle, please bring one or more of the following: Lazy Kate, ball winder or nostepinne. Lots of vendors! Please bring your lunch and, if you’d like, some snacks to share. www.whidbeyweaversguild.org. Port Susan Home and Garden Show: April 14. 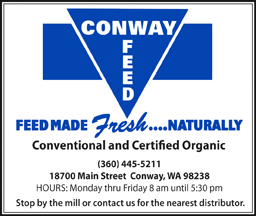 Hosted by Camano Island Chamber of Commerce. 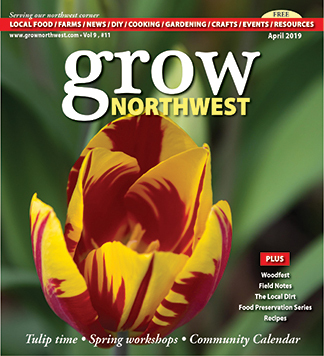 10 a.m. to 4 p.m. Camano Center, 606 Arrowhead Rd, Camano Island. See the Facebook page for more information. Know&Grow Workshop: Rain Barrels 101: DIY Tips & Tricks for Collecting Rain Water: Tuesday, April 17. Kevin Tate from Skagit PUD will share all the information you need to have a successful rain water collection system in place while we are still having our spring showers. There will be information about how to order a ready to use rain barrel: $65.22. No registration required. Free. 1-2:30 p.m. WSU Mount Vernon NWREC, 16650 State Route 536, Mount Vernon. 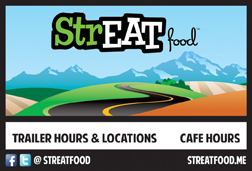 http://extension.wsu.edu/skagit/mg/.